Lawson Construction Company is a transportation facilities concrete contractor that undertakes projects for customers in the private and public sector. 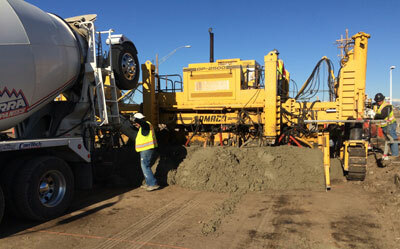 Lawson Construction projects range from small, one-day projects that require extensive handwork to large, multi-month contracts involving machine-placed concrete installed under stringent time constraints. 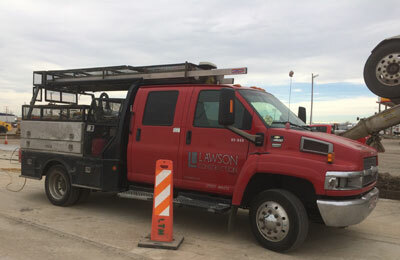 While Lawson Construction does handle a wide range of specialty concrete installation assignments, the company’s primary focus is providing concrete solutions to the transportation industry. Lawson Construction’s management has more than 100 years of experience in the concrete industry along Colorado’s Front Range. Today, with nearly 100 employees during peak construction periods, Lawson Construction ranks among the largest specialty concrete contractors in Colorado. Lawson Construction uses special mix designs for its machine and handwork that have been formulated for superior performance in the Colorado climate. In addition to its extensive track record of experience, Lawson Construction’s use of state-of-the-art equipment, technology and materials ensures the integrity of each project. In fact, customers have discovered that the superior strengths of Lawson Construction’s mix designs have resulted in an added benefit -- significantly lower replacement costs. Lawson Construction is a member of the Associated General Contractors of America, the American Concrete Paving Association, the Longmont Builders’ Association and the Colorado Contractors’ Association. Lawson Construction’s reputation for integrity, professionalism, quality and customer support has allowed the company to experience solid growth in the marketplace since it was founded in 1989. This success stems from Lawson Constructions’s corporate philosophy -- to provide customers with a top-quality product and unmatched service that delivers projects on time and within budget.